The demand for issuing an ordinance for absorption of adhoc and temporary teachers left the Delhi University's academic council meeting in doldrums today. 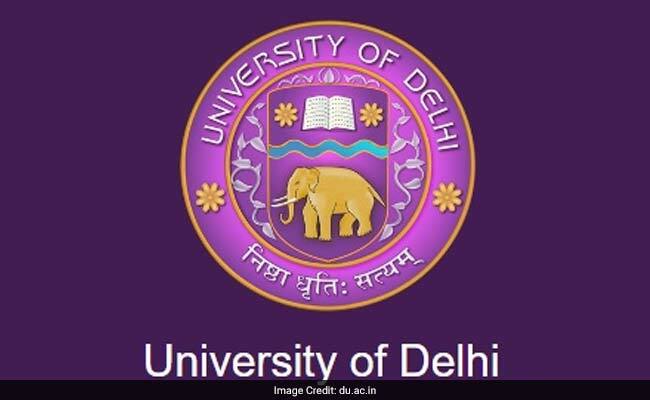 New Delhi: The demand for issuing an ordinance for absorption of adhoc and temporary teachers left the Delhi University's academic council meeting in doldrums today. "There was no transaction of business for around two hours as resolutions seeking ordinance for absorption of adhoc and temporary teachers were not taken up. Though the chair accepted to discuss the matter, but refused to take up the resolution. Thus, we opposed it as it was undemocratic," said a council member. The council meeting had began yesterday and continued well past the midnight. The second day of the meet began at 2 PM today. The resolution on absorption of adhoc and temporary teachers read, "The Academic Council in its meeting held on 20th June 2017 resolves to issue confirmation letters to all those teachers in different departments of University of Delhi (DU) who have completed one year as per Ordinance XI." Besides, members of the council belonging to Academics for Action and Development (AAD) and University Teacher's Forum, opposed the 5 year-Journalism course, which is in self-financing mode. "There are serious statutory lapses in the process. The course is aimed at privatisation and contractualisation," said an AAD member. A host of issues like promotions, pensions, extension of PhD programme et al were discussed during the zero hour of the meeting yesterday.